In this step you are learning what extensive reading is. At the end of this step you will take a quiz on what you have learned. 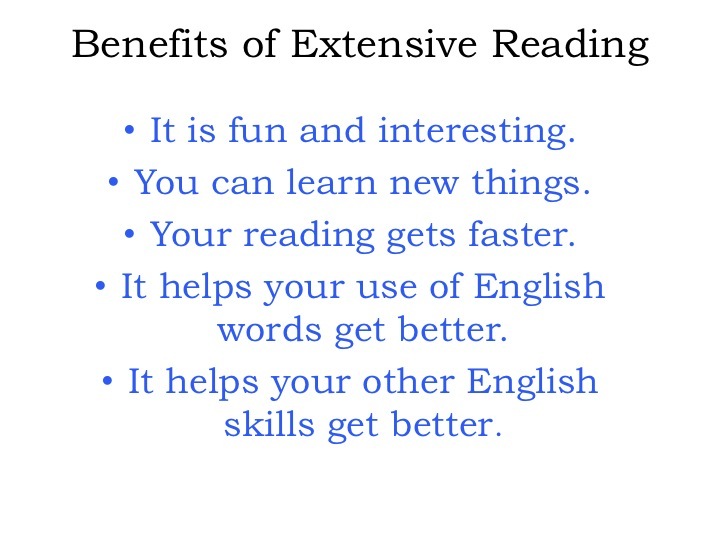 Now, please look at these benefits of doing extensive reading. Maybe you have studied English using intensive reading (IR) already. Please look at how ER is different from IR.